Why not buy a DVD from our online shop? I will do you a little painting and dedicate it to you or whoever you want. We can source US , French, Flemish or Australian versions of the DVD as well as the Irish version if there is a demand for them! were such a boost! Thank you all for coming and waiting to chat. to see some of Tokyo... An amazing place! Hooray, thanks all who came along! The signing session was fun too, lovely to meet you all. Well here I am with young Ben in Osaka Japan. We have some screenings here as part of the European Film festival. We've never been to Japan before it was as amazing and overwhelming as I expected yesterday , walking around with jetlag! Luckily we hooked up with an old Ballyfermot college pal - Dave "Yer man in Japan" McDermott who was a able to give us a fascinating insight into the place as we walked around the Osaka castle and city centre. He is a fluent speaker of Japanese and had an interesting insight into the difference between cultures because of language. He feels Japanese people think much more visually because their language is pictorial . It would explain the fact that comics and animation are so much more part of mainstream culture here . We have the first Japanese screening that I've been aware of today, I hope we get a good crowd and that they enjoy the film. Having been compared to Japanese animation so often in the States it will be interesting to see what Anime fans make of it here! All knowledge would be lost for eternity. heres Kilkenny county library mobile unit , bringing books to the people...so they may have hope. 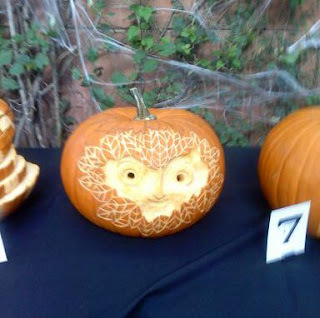 My thanks to Jamie and Rodolphe for showing me this cool Aisling Pumpkin . I think its from a pumpkin carving show in Dreamworks. The nice thing about the list is teh artwork they used to illustrate it is often not screenshots. and Aisling has a nice rough modelsheet drawn by Barry Reynolds. Well new to me anyway. This stuff blew my mind in college. Still does. mentions from people discovering thus film fir the first time. I always read.And The DVD release in the uk is very soon actually. than ever before see the film. That's what it's all about really. It was slow to finance, slow to make and slow to find a large audience but I feel like we are getting there the same way , slow and steady. Maybe it's good this way , it all lasts longer and doesn't fizzle out so fast. Many thanks to everyone in sf Portland and NYC who cane along to the screenings and the panel in nycomicon ! I had a great time ,but glad to be home. 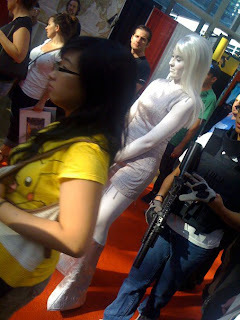 Wow an amazing day , I have never been to a ComicCon on that scale before. Its quite surreal and intense. Thousands and thousands of serious comics, anime and cartoon fans in all sorts of get ups. If any of you readers are here in NYC tmrw please do come along to our panel and we'll be selling comics, books and DVDs afterward with sketches too! "...THE SECRET OF KELLS is a hand-drawn Celtic extravaganza....Take a child to see the inspiring KELLS rather than Garfield's Pet Force 3D"
"...The look of the film is simply ravishing. The highly stylised images...are all realised with a gorgeous intricacy". "This Irish animated feature looks great. 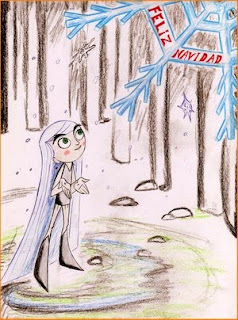 But it's strictly for kids"
"The artistry is beautiful, the tale of courageous quest affecting. But children addicted to showier...3D might chafe at something of subtler (although frequently scary) style"
Whats this got to do with The Secret of Kells? well both the director/designer/animators of this video are artists who worked on Kells and will be on Song of the Sea too. Alan Holly and Adrien Merigeau are "Andmapsandplans". And they are cool cats. And you should watch it! Watch out for it in Spain folks! sorry folks but for now the Song of the Sea blog will be off limits . Once the finance is locked and we begin production we will unlock it but until then the info is sensitive. Robert wrote a very thoughtful review not long ago which I posted here. He seemed very sensitive to all the subtle textures and depths we hoped had been layered in over the years of development which of course is very gratifying for us as filmmakers. "Hi, Tomm, I have a question here and I mean no offense. But since the subject has been brought up by Mr. DiGiovanna, about the deeper appreciation of adults and kids coming from the same source, I'm wondering if there's another special reason why Brendan's image appears on the Chi Rho iconograph. To be honest, I initially thought that scene to be a form of defacement, albeit a mild one. I had put this interpretation behind when others took its place. It was my recent noticing of something strange about the Abbey which brought it up again." The idea behind placing Brendan in the Chi-Rho page was a response to some people feeling unsatisfied by the ending on the Chi Rho page, I understood their concerns and we had an early storyboard and script draft that returned to the abbots room after the Chi rho sequence and tried to wrap up the story and characters. This was always unsatisfying and seemed like an epilogue , the story is over with the completion of the Chi Rho page and all it symbolizes for our characters and for history. Brendan growing from boy to man is seen in the way a stylized Brendan transforms into the human head at the center of the real page, Aisling is remembered in the flowers that bloom when a mist passes over them and we see Pangur in the cats that are present on the actual page too. Initially we planned to have Aidan and Cellach unified in the image of the two angels holding the book between elsewhere on the Chi Rho page, but it felt too labored and we left it out in the end. I hope that answers your question sir! Lily Bernard , one of the lead background designers on The Secret of Kells on Mexican TV just before the Oscars! Lily is just finishing working on the backgrounds for a job in the Saloon now before returning to Mexico to teach. She is helping to develop our first preschool show Puffins Rock,so we hope she'll be back in Kilkenny very soon. Heres a sketch I made for this auction . I don't know Pres but his friends Charles Solomon and Jamie Bolio asked me to contribute something. Ross Stewart is donating some stuff from his Kells days too. Our best wishes to Pres! 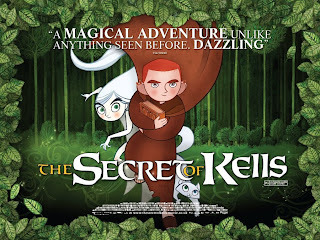 Optimum releasing will take the UK theatrical and DVD distribution rights for The Secret of Kells. Its great news following our win at the British Animation Awards last week. Now all our UK fans will hopefully spread the word like our US friends have been doing. Do you know the name of the world’s most visually stunning book? It is illuminated, called The Book of Kells. It was produced in the early 8th century in Scotland. The book of Kells went on a long and arduous journey, somehow made its way to Trinity College in Dublin, where it resides today. The rest in Real history! The Oscar-nominated animation “The Secret of Kells” is a story about a young orphaned boy Brendan, who lives in the Abby of Kells, under siege of the raiding Vikings. Brendan’s only family is his strict uncle, the powerful Abbott Cellach of Kells. Although the Abbott loves his nephew, he doesn’t have the right way. Soon, Brother Aidan, a master illuminator from a foreign land, came to the walled city of Kells. He took Brendan under his wings and sent him on a journey to go into the forest to seek a special kind of berry: its juice can be made into emerald green-colored ink for writing “The Book of Kells,” yet to be finished. Brother Aidan brought this sacred book with him, a book overflowing with wisdom and brilliant artistry, to be completed by Brendan! In the mysterious forest, Brendan is at first terrified of the strange sights and sounds. He encounters a fairy that is unlike any other fairy in fairy tales. Her name is Aisling. She has many qualities that are lacking in ordinary fairies: She is completely white who can change into a wolf in an instant. She has territorial instinct just like a wolf, but unlike a wolf, she can climb trees! She does not have wings and is more agile on her feet. I noticed that Brendan has a crush on Aisling. It is hard to impress a fairy, but Brendan tried his best and eventually succeeded! Together, the two must join forces to stop the Viking’s invasion and find a magic crystal, so that Brendan can finish the last pages of the Sacred Book. Moore studied in the college Don Bluth helped set up – Ballyfermot Senior College but by the time he graduated, they had returned to the US. So he set up his own studio Cartoon Saloon with some friends back in the premises of Young Irish Filmmakers in Kilkenny. My favorite characters are Brendan and Aisling. Brendan is faithful, loyal, curious, hard-working, loves literature, and through Brother Aidan, discovers his own hidden artistic talents. I am a master at art, just like Brendan, though my parents discovered my talents much earlier, as soon as I started drawing when I was three. I consider myself a better artist than a film critic, because I have been creating art for a much longer time than reviewing movies! I also share a great imagination and love for nature with Brendan. I love to see wild animals in the natural ecosystem. I also wrote and illustrated lots of books, such as “Journey to Land,” about the adventures of a pack of African cheetahs, and books about our garden. In my view, imagination is only “magic” to those who don’t understand it. To those who have imagination, art is simply a natural way to express that imagination. 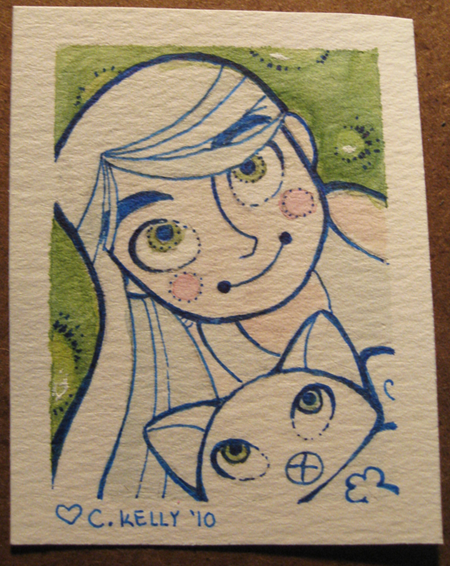 I like Aisling because she acts most like a real kid. She is a free spirit, and loyal to Brendan. 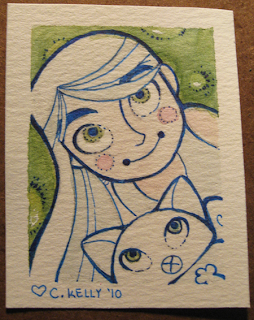 One of my favorite scenes is when Aisling magically turns Pangur Ban (Brother Aidan’s mysterious cat with differing eye colors!) into a spirit as she sang a beautiful, haunting song. “The Secret of Kells” is an “illuminating” tale about friendship, wisdom, overcoming fear, and discovering your own creativity. It has splendid visual, haunting music, and amazing storyline built upon historical facts. I think this movie would appeal to a wide audience, although younger kids may be disturbed by the war scenes. I give the film 4.5 starfish. It’s Perrific! I noticed that the cat, Pangur Ban, did not age as most of the human characters, nor did the old man with long beard who first discovered that Brendan was gone from his cell. Are they magic? I asked director Moore. 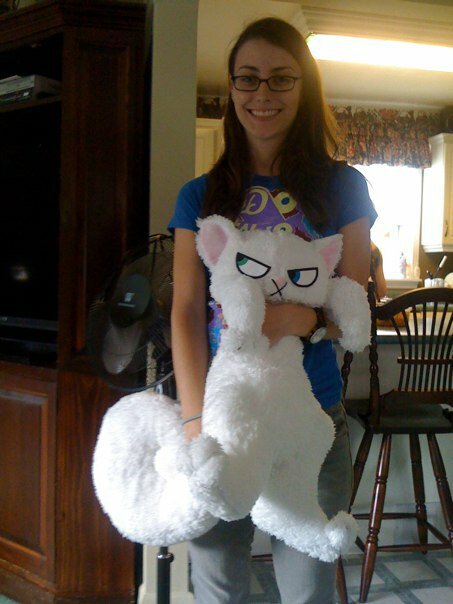 “I get asked this all the time :) Well, for me, Pangur Ban is sort of a symbol of Aidan and Iona, she may be magical like Aisling,” said Moore. “Pabgur Ban IS kind of immortal because a monk wrote about his cat Pangur Ban in a poem that’s in one of the manuscripts from that period, so school kids in Ireland learn about Pangur Ban to this day. Or maybe the cat at the end is her daughter :) !” Which one do you think is more likely? There were many similarities between “The Secret of Kells” and other “Perrific” animations. It is visually stunning like one of my all-time favorites, the 5-starfish-rated “Azur & Asmar,” directed by the French animation master Michel Ocelot. Monsieur Ocelot has become a dear friend of mine since I interviewed him in San Francisco last year. Also the Princess Charnsous Sabah in “Azur & Asmar” was locked up in the palace and not allowed to leave; just like Brendan was forbidden to leave the walled fortress of Kells. Brendan, just like Hiccup in “How to Train Your Dragon,” lived a thrilling double life. At the start of the film, Brendan was always thinking about what his uncle the Abbott Cellach would do to punish him. Once he befriended Aisling, he forgot all about his worries and lost track of time. Both Brendan and Hiccup lost their moms and had a strict father or father figure in their lives, who lacked confidence in the boys. Both boys violated the rule of the leader of the village, however, such violations transformed their lives permanently for good. Each befriended a mystical creature who became their ally. But Toothless is more than an ally, he gradually turned into a pet once Hiccup tamed him! Aisling, however, kept her wild spirit and independence. I noticed that the Vikings in this film have eyes that are like glowing balls with dim light. They are heartless and don’t look human at all. The Vikings show a lack of respect for artistry and human knowledge, as they rip the pages of the sacred Book of Kells. While other films have more complex visuals, “The Secret of Kells” succeeds in its own unique visual style: simple but elegant. The lines that make up the human characters and objects are bold, decisive, and beautiful, suffused with splashes of vivid colors. Adorned with priceless jewels, with a bright golden cover and pages that seemed to glow from within, The Book of Kells represents the power of art, literature, and human creativity itself. Friendship can heal your worries. The path to enlightenment takes courage, creativity, and perseverance. Perry Chen is the youngest award-winning child film critic, Annie Awards presenter, artist, TV personality, and radio talk show host of “Perry Previews the Movies” on www.wsRadio.com. His recent appearance on National Public Radio (NPR) Weekend Edition Sunday with host Liane Hansen was a major hit with listeners worldwide. He has been featured on CBS Evening News with Katie Couric, Fox, KUSI, CW channel 6 San Diego Living, San Diego Union Tribune, San Diego Family Magazine, San Diego Magazine, SDNN, Art Rocks! radio, The China Press, World Journal, etc. 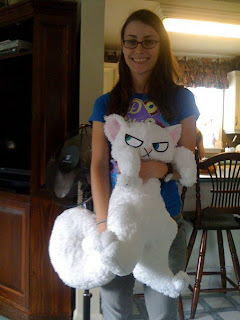 Perry has been invited to numerous film festivals, awards shows, press junket, and movie premiers to interview prominent filmmakers such as Oscar-winning Pete Docter of Up, John Musker & Ron Clements of The Princess & the Frog, Oscar-nominee Bill Plympton, directors Dean DeBlois and Chris Sanders of current top box office winner “How to train your dragon,” and walked on the red carpet. Watch his videos on www.youtube.com/perryspreviews. Hand-drawn animated film from Ireland was an Oscar nominee, and it's clear to see why. "The Secret of Kells" is an anachronism many times over, and what a good thing that turned out to be. 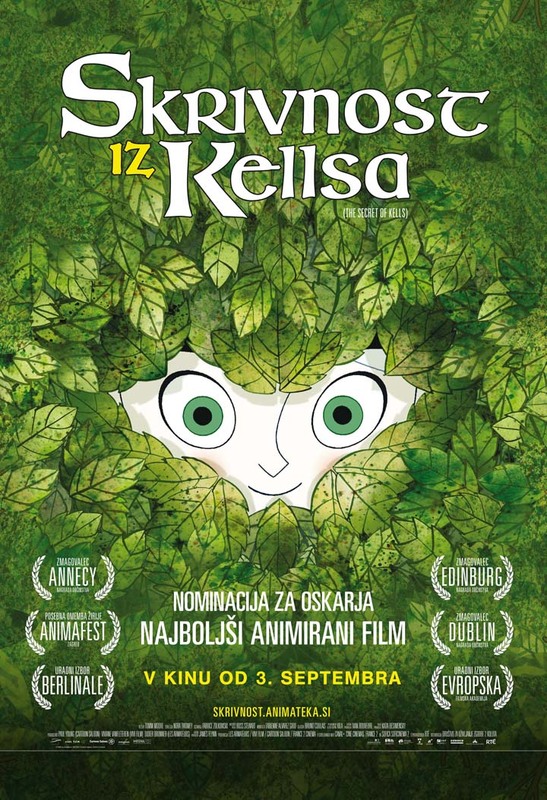 A ravishing, continually surprising example of largely hand-drawn animation in the heyday of computer-generated imagery, an inexpensive and sophisticated European production in an age of broad-stroke studio films, even a spirited defense of books and bookishness while Kindles walk the earth, "Kells" fights the tide every way it can. Yet this longshot that began as a college project for Irish director Tomm Moore edged Hayao Miyazaki's "Ponyo" for one of five feature animation Oscar nominations, and in a year without Pixar's "Up," might even have won. That's how magical this story of a boy and a book turned out to be. The book is the Book of Kells, a circa AD 800 illuminated manuscript whose recounting of the four gospels was so dazzlingly decorated and illustrated (in part by the monks at the abbey of Kells) that it's universally regarded as one of Ireland's national treasures. 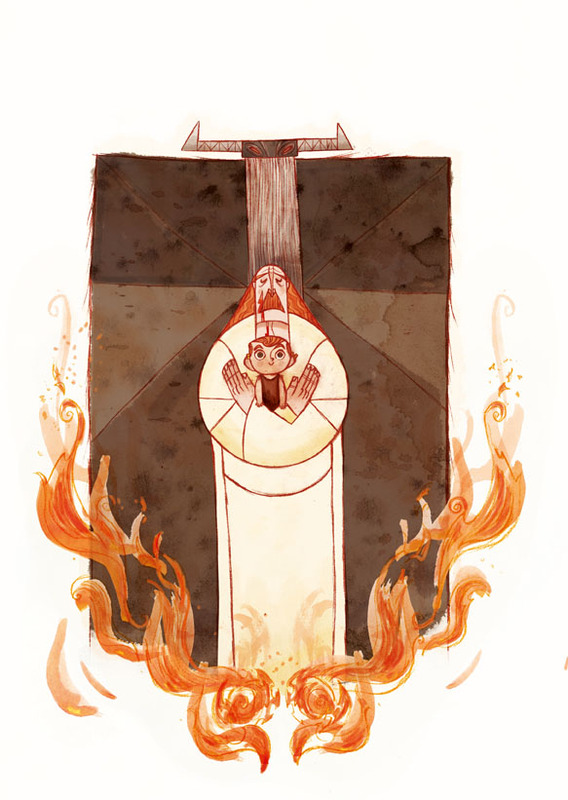 "The Secret of Kells," co-directed by Nora Twomey, is a fable-like tale of how that book might have come to be completed, involving the stern Abbot Cellach (voiced by Brendan Gleeson), the master illuminator Brother Aidan (Mick Lally), and the 12-year-old Brendan (Evan McGuire), "the little brother with the big questions," whose pluck and fortitude end up saving the day -- with a little help from some woodland friends. But though "Kells' " story (by director Moore) and screenplay (by Fabrice Ziolkowski) are delightful, the narrative itself is only part of the reason for the success of a film that is a tribute to and an example of the power of the imagination, an enterprise that insists that what the mind imagines, the hand can achieve. The heart of everything, not surprisingly, is that marvelous visual style, not only heavily Celtic influenced but also a glorious throwback to the more stylized, painterly work of decades past, the kind of vividly colored, fanciful pictorials that are usually confined to the small-scale realm of animated shorts. Also breaking out of boundaries is the spirit of this film, which has room for multiple approaches. The main sensibility is light on its feet, even playful -- Brendan chases a goose, as it turns out, not to kill it but to pluck feathers for quills -- and there's a sense of gentle fun about the proceedings that is tonic to experience. But this easy nature also admits to the presence of evil, both the flesh and blood malevolence of invading Norsemen, looking like animated versions of the barbarians in Eisenstein's "Alexander Nevsky," and the more mythological evil of dark forces that dwell in the murky depths of the forests. Because he sees the forest as dark and threatening, the severe, unbending Abbot of Kells has decreed that young Brendan cannot go outside the enormous walls that he's building around the abbey in the hope that they will keep the invaders at bay. All this changes when Brother Aidan, a charismatic master illuminator whose work is of such high quality that "it's capable of turning darkness into light," shows up at Kells with a book he began illustrating on the island of Iona before the marauding Norsemen made him flee. Very much attracted to the making of art, Brendan overcomes his fears and the abbot's strictures to go into the forest in search of berries that Brother Aidan needs to make one of the manuscript's especially vivid colors. Deep in those trees, Brendan meets the marvelous fairy Aisling (Christen Mooney), both young girl and wolf, who introduces him -- and us -- to the glowing wonders of the forest, a place of pagan delights but also, as it turns out, the lair of Crom Cruach, a legendary monster who also has a place in the Kells saga. With a firm footing in all these worlds -- blissfully pagan, devoutly Christian and darkly monstrous -- "The Secret of Kells" teaches important lessons in the most casual, joyful way. How it manages to do that is probably the biggest secret of all. Any one reading this in LA or who knows anyone who'd be interested in seeing our film in LA please do let them know that its opening this weekend at The Landmark Theatre. We hope we can fill the place up like we did in New York and Boston! Tell your friends! The Oscar-nominated Irish film adapted Celtic designs from the Book of Kells and Celtic lore for the story in the hand-drawn feature. As advances in technology allow for ever more realism in animated features, the artists behind "The Secret of Kells" -- the little-known Irish film that caught even insiders by surprise when it edged out the likes of "Ponyo" and "Cloudy With a Chance of Meatballs" for an Oscar nomination -- turned instead to the intricacies and grace of an ancient text to celebrate the curves and angles of traditional hand-drawn animation. Using the scrollwork designs and microscopic detailing of the Book of Kells, an illuminated manuscript of the Four Gospels likely dating to the early 8th century, "The Secret of Kells," which opens in L.A. on Friday, evokes the feel of Celtic tradition and a culture long past. The idea for the film began incubating more than a decade ago when director/co-writer Tomm Moore was a student at Ballyfermot College in Dublin. "Richard Williams' 'The Thief and the Cobbler' was a big inspiration, as were Genndy Tartakovsky's TV programs and Disney's 'Mulan,' " Moore says. "We wanted to do something comparable with Irish art. A lot of Celtic design came from the Book of Kells, so we thought that was a good starting point." The film is set in the 8th century, when Viking raiders threatened to extinguish Irish monastic civilization. His parents killed in one such raid, 12-year-old novice Brendan lives within the walled monastery of Kells under the stern guardianship of his uncle, Abbot Cellach. When Brother Aidan arrives with the wondrously beautiful but unfinished book, Brendan realizes he wants to become an illuminator and help complete the manuscript that will be "a beacon in these dark times of the Northmen," despite his uncle's opposition. "For a lot of us, Brendan is the kind of kid we were," Moore says. "When you're a kid trying to be an artist, you usually come up against the disapproval of your guardians." 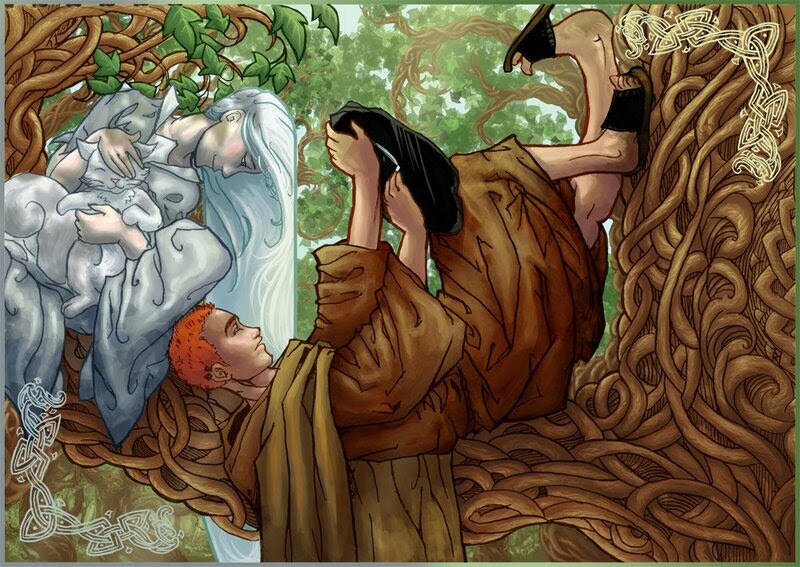 Defying the abbot's orders, Brendan searches for the materials needed to make ink in the surrounding woods, where he meets Aisling, a silver-haired fairy who orders him out of "her" forest. "A lot of the Christian stories from this time were very obviously adapted from earlier fairy tales," Moore says. 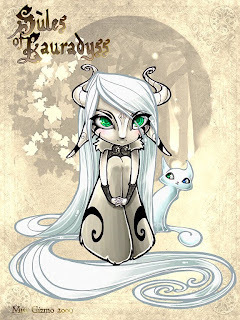 "Aisling became everyone's favorite character because she represents that whole pantheon of fairy tales and pagan gods. We toyed with the idea of her becoming a love interest but it was more fun to make her a sort of pesky little sister." Brendan and Aisling are brought together by Brother Aidan's cat, Pangur Ban. Its unusual name and the film's central metaphor come from a poem by an 8th century monk, describing the nights he spends studying while his cat hunts mice. It concludes, "Practice every day has made / Pangur perfect in his trade; / I get wisdom day and night / Turning darkness into light." When Brendan fights the pagan god Crom Cruach, he steals the serpentine monster's eye. Using it as a lens, Brendan is able to create intricate and dazzling images in the book. "There's a story about St. Patrick defeating Crom -- it seems to be the source for St. Patrick driving the snakes out of Ireland," Moore adds. "Prior to St. Patrick, Crom was defeated by the sun god, Lugh. So, in the pagan myth and the Christian parallel, we had the theme of turning darkness into light, as in the line from the poem. We decided to make Crom a snake who symbolizes Brendan's fears: When Brendan steals Crom's eye, he blinds his fear of becoming an artist." Art director Ross Stewart adapted the intricate style of the Book of Kells for the backgrounds. The woods where Brendan meets Aisling feel like an ancient forest, but the trees form complex spirals and knotted designs. The tendrils of mist, Aisling's hair, the branches of the oaks and Pangur Ban's tail all echo the same graceful curves. The resulting look is more stylized than any animated film American audiences have seen since Disney's "Sleeping Beauty" in 1959. But Moore realized it would be a mistake to use the same intricate style for the character designs. 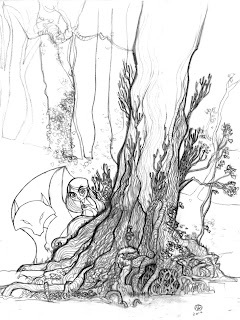 Detailed figures are hard to draw, and would get lost in the lush forest. "Having all that patterning and detail on each figure would just be crazy," he says. "The characters could be simple but make complicated, pattern-like shapes when they're grouped together. The individual characters are quite simple -- but they still have a medieval feel." Tartakovsky's "Samurai Jack" showed that stylized characters should move in equally stylized ways. A character comprising flat, angular shapes, like Jack or Brendan, can't move the way a rounded Disney figure does. Moore and his key group of artists worked out ways for Brendan, Aisling and Pangur Ban to move that harmonized with the film's striking look. 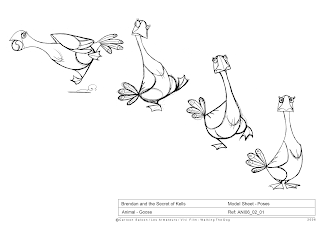 Pete Docter, director of the Oscar-winning "Up," notes that " 'Kells' disproves the old dictum that the audience needs realism to connect with the characters." He also says the film has much to teach others. "The Celtic designs work organically with the story being told. The film is a lesson in how graphic arts can influence film and introduce something new that couldn't be done in any medium but animation." 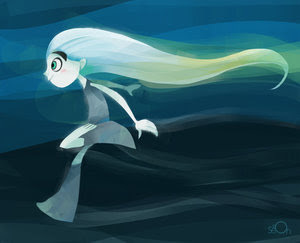 Moore's next feature, "The Song of the Sea," will focus on the last Silkie -- a little girl who can be both a human and a seal -- who serves as a bridge between modern Ireland and the fairy world. Surely, after his Oscar nomination, studios and distributors are swarming to partner up on it? "I've got enough money to make the storyboard," Moore says. And after that "we'll be putting in applications to the Irish Film Board and so on. We missed the deadline in February because we were in L.A. doing stuff for the Oscars -- a very happy interruption -- but we hope to go into production on 'Song' " this year." Its lovely to see the character design work by myself and Barry appreciated as well as the fine stylised character animation by our amazing international teams of animators! Thanks to Alessandra for uploading this again to You Tube after they took it down! Hey am back in Kilkenny at long long last. Watched Ponyo with my family last night then collpased for a long old sleep. Many thanks to Jamie Bolio for checking the technicolor print in LA in my absence! A true star. It will open in the Angelika cinema there very soon. The critically acclaimed The Secret of Kells was nominated for an Academy Award and showed a beautiful side of 2-D animation. Moviegoers of all ages will delight in The Secret of Kells’ masterful story-telling and visual splendor. The Secret of Kells is by far one of the most engrossing films to come out this year. Twelve-year old Brendan has never left the walls of Kells and is content to help out his uncle’s medieval monastery with errands. Unfortunately, most of these errands relate more to the wall than religion. Abbot Cellach has become obsessed with fortifying the giant wall in order to protect Kells from the Norsemen. When Brendan discovers that he must finish the manuscript of Kells, he must stand up to his uncle and venture into the feral nightmare outside the walls. Young adults will relate to Brendan’s struggle. He loves his overprotective uncle, but he knows that he must leave the walls of his small town in order to finish the book of Kells. The story weaves fantasy elements, such as fairies and Irish pagan lore, into a message about the importance of openness in an increasingly cosmopolitan society. While some fantasy films stumble over their own settings, the conflict between the close-minded abbot and his adventurous nephew takes center stage in Kells. Viewers will be swept away by this story about a character desperate to imprison his monastery within its own walls and will cheer Brendan on as he escapes to the forest to find ink for the book. A 75-minute viewing time ensures that the adventure remains fresh and fast-paced with just the right mix of humor and darkness. It would have been nice to see more facets of these intriguing characters and their stories, but that could have detracted from the gravity of the film’s message. The hand-drawn animation cannot be commended enough. The thick lines and distinct forms of Kell’s striking character designs are reminiscent of the minimalist animator Genndy Tartakovsky’s dramatic and colorful work on Samurai Jack. Take a closer look at the lush watercolor forests and geometric dungeons in the intricate backgrounds to be amazed by the craftsmanship in Kells. Art lovers will immediately recognize the inspiration taken from medieval scribes in various pieces, such as the monks’ flowing robes, the spiral scales and agile limbs of salmon and deer in the forest, and the bright white stars that illuminate the night sky while Brendan draws. This colorful movie will look absolutely stunning on the big screen, and the many allusions to medieval design as well as the visual motifs will warrant multiple viewings on DVD. However, there are scenes that may be too dark for younger kids. One of these scenes portrays the pillaging of a village by devil-horned Vikings who speak in nasty growls as they stab a major character. This is a movie that may be best for older children. Few moviegoers had seen The Secret of Kells when the nominees for Best Animated Picture were announced. Fortunately, movie fans everywhere will be in for an amazing story accompanied by visual delight as screenings of The Secret of Kells emerge in major cities throughout the U.S. this spring. The Secret of Kells - What is this Remarkable Animated Feature? Karl Cohen talks with director Tomm Moore, exploring both the historical and thematic origins of the film. All images courtesy of Cartoon Saloon / GKIDS. 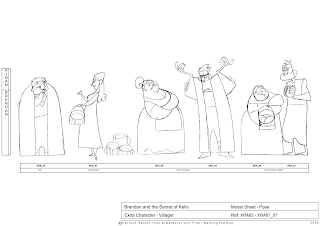 The Academy Award nomination for The Secret of Kells hints at the film’s brilliance. That recognition came as a major surprise as the film was only seen by a handful of people in LA & NY when it qualified for a possible Oscar nomination. It did not open nationally until this March, but thanks to a grassroots campaign by people who have seen it, and I’m one of them, word is spreading that the film is quite extraordinary. The Secret of Kells is a wonderful film experience. It has a unique look that might be called Irish or Celtic modern, and a compelling well-told story that is as charming as it is exciting. Moreover the story seems quite real as opposed to the elaborate tall tales Hollywood invents. As for the look, imagine the flat abstractions of nature found in Celtic manuscripts and jewelry coming alive on the screen. The film has a design that sets it apart from art from other parts of the world. It is as distinctive looking as Persian miniatures or traditional Japanese block prints. The look is rich and varied including intricate backgrounds that are sometimes quite stunning. Not only is the film’s bold look pleasing to the eyes, the captivating story will warm your heart. I certainly believed in the innocent boy’s quest to find the right berries in the dark forest. They are needed to create a magnificent color that will allow a great artist to complete a sacred manuscript. It is easy to believe this book is necessary for the preservation of the Celtic culture and that it has to be finished and protected from the invading hordes of barbarians from the north. What happens in the forest is the beginning of a fantastic experience. The film’s simple plot and premise is based on facts; such illuminated medieval manuscripts do exist including the “Book of Kells” (Dublin, Trinity College Library, ca. 800 AD) and the hordes that are sacking villages in the film may be the Vikings that invaded Ireland. This plot also seems very real; most people know that people in the Holly Lands once made great efforts to preserve their culture and beliefs from invaders. The rediscovered Dead Sea Scrolls are an example of this. The story may be fiction, but in your minds you care and emphasize with those who are living a simple peaceful life. Their innocence is a far cry from the complex worlds and plots that Hollywood creates in films like Princess and the Frog, Shrek or Monsters Vs Aliens. While the Hollywood features are often delightful entertainment, you probably leave feeling the film was a lot of fun, and rarely think about any greater meaning or message. On the other hand while you may leave Kells with a sense of joy, you may also leave feeling the movie gives you a realistic experience of what life was like in the Middle Ages and with a belief in the goodness of the peasants and monks who lived a simple agrarian life in their rural walled village. I'll be at the Kendal in Boston to answer your questions after the screening! heres another review from Philadelphia to encourage you along! There they were, the five Academy Awards nominees for best animated feature, announced back in early February: Pixar's Up, Disney's The Princess and the Frog, Wes Anderson's Fantastic Mr. Fox, Henry Selick's Coraline and, and . . . huh? What's this? 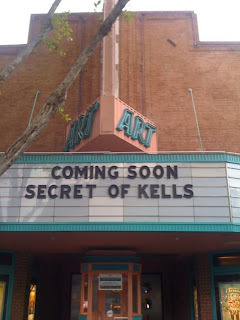 The Secret of Kells? It turns out the Oscars' nominating committee had every reason to honor this dark horse, a little-known endeavor heretofore unreleased in the States. 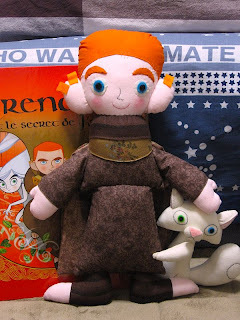 A beautiful, retro-style, hand-drawn feature from Ireland combining elements of 1950s and '60s Disney 'toons (geometric graphics, flat, painterly backgrounds) and traditional Celtic art (intricate, luminously colorful patterns), this spirited children's adventure set in the Middle Ages offers both visual and narrative thrills. Drawing (so to speak) from fairy tales and illuminated medieval manuscripts, The Secret of Kells is about a young boy, Brendan (the voice of Evan McGuire), who lives in a fortified abbey under threat of invasion by Vikings. 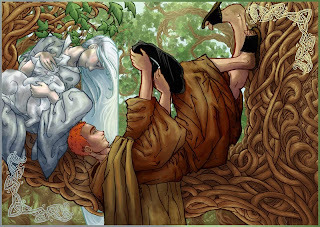 When master illuminator Brother Aidan (Mick Lally) arrives, he enlists Brendan to venture beyond the abbey's walls to collect oak berries in the forest, to use for ink in the scriptorium. This innocent-seeming mission turns into an epic quest involving magical fairies, a wolf-girl, and a cat with two different-colored eyes. The Secret of Kells is gorgeous work, and its imagery and themes dovetail perfectly: a story about creating art, artfully created. One of the nice things about 2009's being such a stellar year for animated movies is that it's not over. Today marks the belated arrival of "The Secret of Kells," which received a surprise Oscar nomination for best animated feature, and a well-deserved one, as it turns out. The Irish-made (but drawn by animators in some five countries) dazzler opens exclusively at the Ritz Bourse, and is worth seeking out for animation buffs, or those looking for some novel way to conclude a week of St. Patrick's celebrations. "Kells" is the story of Brendan (Evan McGuire), a youngster at a medieval Irish abbey who, in the days before a Viking invasion, is forced to decide how to "save" his community and his culture. The abbey is run by his uncle (Brendan Gleeson) who's wholly committed to fortifying the walls and protecting the citizens. A visiting monk (Mick Lally), however, wants Brendan (a talented artist) to finish and vouchsafe an illustrated religious manuscript. "Kells" is rendered in an old-fashioned, two-dimensional style that gives new meaning to the phrase "traditional animation." Moore draws on motifs from Celtic art dating to the 9th century (when the movie is set). Interestingly, we get few peeks at the artwork in the book itself (clearly based on the Book of Kells, an ancient and finely illustrated work of New Testament gospels). Instead, Moore weaves these ancient motifs into the design of the natural world that surrounds Brendan's walled city. 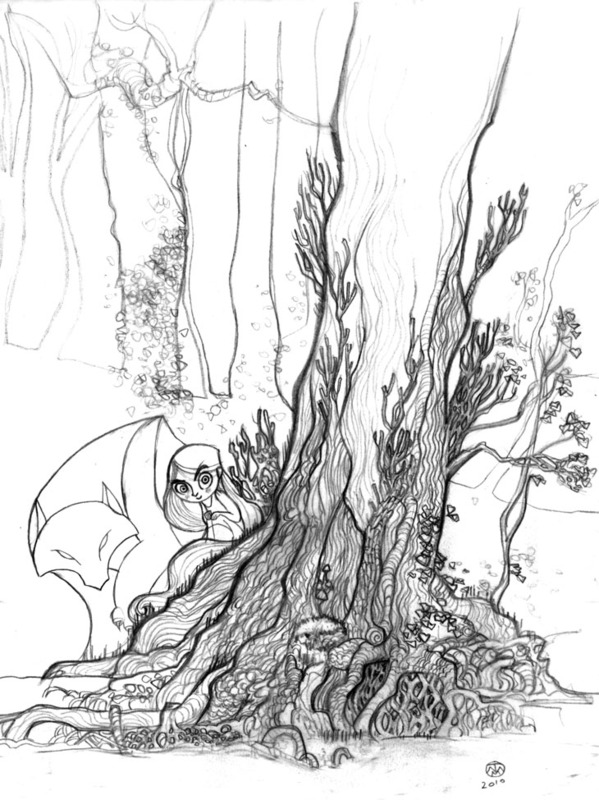 Against his uncle's wishes, he ventures into the woods to collect berries for the unique dyes that will color the book, and gets help from a magical fairy (Christen Mooney). This is a way for Moore, a gaelic revivalist (who's set down the story of St. Patrick in graphic novels) to make a point about the way that Catholicism blended with existing pagan beliefs to create something culturally unique. And, Brendan decides, worth saving. The movie's best scenes find him in the mysterious, treacherous forest, wherein Moore and his animators work their visual magic. "Kells" is noteworthy for its unique, ornate design, its moments of silence (Moore is obviously a big Miyazaki fan) and gorgeous music. And its distinctiveness. A hallmark of 2009 was (is) its variety - the best of Pixar, traditional hand-drawn Disney, the stop-motion genius of Henry Selick rendered in 3-D, even contributions from Wes Anderson. "Kells" is the capper, and a lovely one. “I have seen suffering in the darkness, yet I have seen beauty thrive in the most fragile of places. I have seen the Book – the Book that turned darkness into light”. The Secret of Kells opens with these whispered words. The independent film produced in Kilkenny, Ireland, was one of this year’s surprise Oscar nominees. It was up for Best Animated Feature against such box office hits as Disney-Pixar’s Up and Wes Anderson’s Fantastic Mr Fox. The film’s plot centres on 12-year-old Brendan, an orphan in 9th-century Ireland living among a community of monks who practice illumination, the art of illustrating and embellishing Gospel texts. 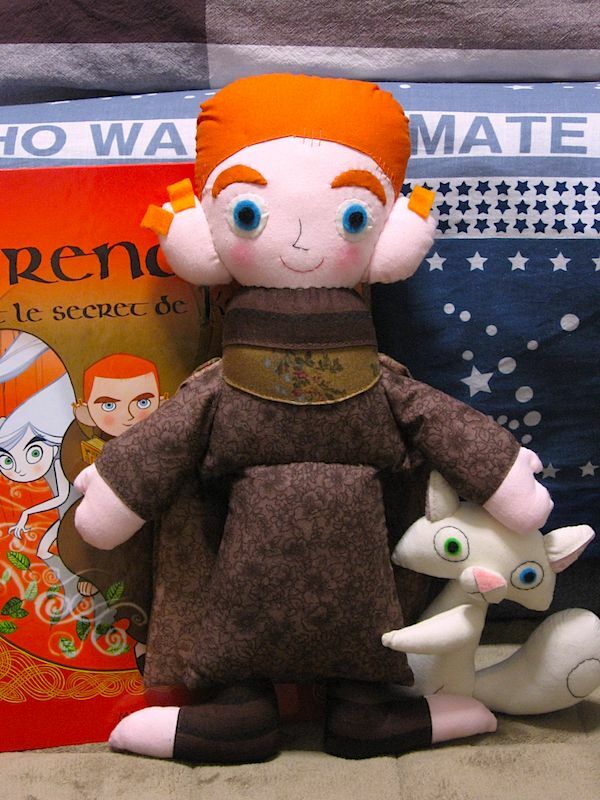 Brendan’s adventures begin when a quirky old illuminator named Aidan arrives with his cat Pangur Bán. The monk is renowned for his work on a famous Gospel manuscript under the legendary St Columcille (also known as St Columba). Br Aidan’s seemingly whimsical arrival is a harbinger of danger, however; he comes seeking refuge, having fled from the Viking raids that destroyed his home of Iona. Prompted by Aidan’s request for inkberries, Brendan ventures beyond the village’s fortified walls against the wishes of his stern uncle, the Abbot of Kells (voiced by Brendan Gleeson). There in the forest he meets Aisling, the sprightly and boisterous girl who accompanies him on his journey. Director Tomm Moore, a 33-year-old Irish illustrator, comics artist and filmmaker, spoke about the significance, historical background and creation of The Secret of Kells in a telephone interview granted to L’Osservatore Romano’s English edition on 12 March. Moore explained that extensive research was involved in the making of the film. This included studying the actual Book of Kells, an illuminated manuscript of the four Gospels which is considered Ireland’s finest cultural artefact. Today it is displayed at Trinity College in Dublin, but originally it was housed at the Abbey of Kells, the monastery founded by St Columba where the story is set. By combining history, fantasy, and myth, Moore’s team aimed to illustrate the importance of preserving valuable traditions and shed light on the truth common to all faiths. The result is a dream-like journey that speaks of sacrifice, gaining strength through suffering, reconciliation and hope. Several of these themes emerge in the way the film’s catch phrase – turning darkness into light – is interwoven with the story: “We took that language from a poem that a monk wrote about his cat, Pangur Bán, and it’s a direct translationfrom the old Gaelic”, said Moore. “He wrote it in the corner of the Gospel he was transcribing. He said that his cat had a like path to him – that his cat was chasing mice but he was chasing words, and that they worked all night turning darkness into light”. Brendan’s adventures involve facing the darkness both within and without. As the boy struggles with the idea of leaving to brave the forest, Br Aidan assures him of the importance of experiencing the outside world: “I lost my brothers to attackers from the outside. Now I only have the Book to remember them by. But if my brothers were here now, they would tell you that you will learn more in the woods… than from any other place. You will see miracles”. In the forest, Brendan’s enemy takes the form of Crom Cruach, known in Irish legend as a pre-Christian deity to whom pagans would make human sacrifices in the hope of good crops. But in the film Crom appears as a snake-like creature that devours its own tail, an Ouroboros. “The Ouroboros is a symbol that you see a lot in the Book of Kells”, said Moore. “It was a symbol of eternal life that was used often in the crossover period between pagan and Christian faith in Ireland”. He explained that the scene symbolizes an inner battle: “We decided to make Crom very abstract so that it was more Brendan’s own fears that he was defeating rather than a specific pagan god. It’s Brendan’s journey into his own subconscious where he has to fight with his own fears, and then comes out triumphant with a new vision”. In his defeat of the creature, Brendan’s character parallels the figure of St Patrick, who was said to have struck down Crom Cruach, bringing an end to paganism in the country. If Brendan can be likened to St Patrick, then perhaps the film’s illustrators can be compared to the Gospel illuminators. “Whenever we were looking at the Book of Kells, a lot of people pointed out that it must have taken a certain meditative quality to create that work. The monks would have had to be completely calm and focused, because it’s almost impossible to imagine how they created such detail with such rudimentary tools that they would have had at the time”. Similarly meticulous is the work entailed in creating a 2D animated film like this one, which is 95% hand-drawn and produced “without a lot of fancy computer equipment”, Moore said. “People are forgetting how magical it can be that just a pencil and a piece of paper can bring something to life”. The director explained that each second of animation took approximately 12 drawings per character, in addition to the extremely elaborate backgrounds. “We spent four years working full-time on creating the film, but prior to that there were about six years of designing and developing”. These artists’ pencil-sketched creations include a diverse group of monks from Italy, Africa and the Middle East. Moore explained that the choice of characters came from researching the Book of Kells, in which there are inks from Afghanistan, Moroccan designs, and other foreign influences. The artists imagined that perhaps people had come from across the world to work on the Book. “We also read a book that talked about how Ireland was a kind of a refuge, that the library in Kells was one of the few refuges existent in the Dark Ages”, he said. “That’s how Ireland became known as the land of Saints and scholars, because during that period people came from all over the world to study or to work whenever it was more dangerous on the Continent”. Moore’s favourite character, however, is Aisling. The fairy-like girl seems to be bursting with both youthful energy and ageless wisdom. Her character grew out of ideas from literature and from real life. “Aisling is often a figure in 18th century Irish poetry, where Ireland is represented by this beautiful woman, very serene, and she appears to the poet in a dream – because aisling means ‘dream’ in Gaelic. We decided to turn the tradition on its head and make her a mischievous little girl instead of a sombre matriarchal figure”. Moore based Brendan’s relationship with Aisling on his own relationship with his younger sister, whose personality he claims is similar. “My sister even looks a little bit like her, except for Aisling’s white hair!”. As the film begins to open to record-breaking crowds in the United States, it seems the “secret” is definitely out. And with it comes a message rife with Christian meaning. “The Book was never meant to be hidden away behind walls, locked away from the world which inspired its creation”, Br Aidan tells Brendan, destined to become Abbot of Kells. “You must take the Book to the people, so that they may have hope. Let it light the way in these dark days”. What a great city - Boston was lovely today, sunny and plenty of people wearing the green. Great veggie grub in the River God Pub -A grand St.Patricks day. though i managed to get sunburnt again- typical irish eejit going out in the sun without sunblock on. representatives from the Irish Government. I'm really looking forward to the screening in the Kendal and the reception afterwards this Friday. hope we get a good turnout here like we did in NY! The Academy Award nominated animation film, “The Secret of Kells,” will have its Boston-area premiere at the Landmark Kendall Square Cinema Friday, March 19. The Irish Film Festival will also host a reception for the film’s director, Tomm Moore, at Tommy Doyles pub in Kendall Square Friday after the 7 p.m. screening. 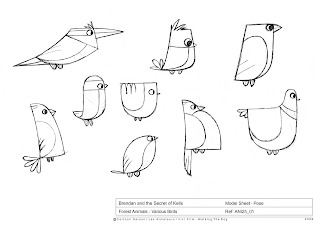 “The Secret of Kells” features the voices of Brendan Gleeson, Mick Lally, Evan McGuire and Christen Mooney. A combination of magic, fantasy and Celtic mythology, the film was an Academy Award nominee for best animated feature. 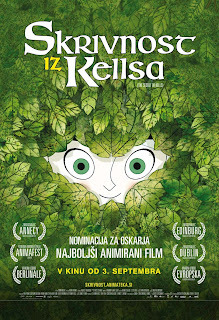 Visit http://www.gkids.tv/bostonkells/ or http://www.landmarktheatres.com/Index.htm for show times and tickets. Please note, although we try to finalize wherever possible, some dates and locations are subject to change. Unless noted, the film is usually scheduled to play one week only. Do not panic if you don't see a big city on the list yet... Because there are more theaters in big cities, it sometimes takes longer than with smaller towns, but the big cities will often get the film first, so expect mid- to late-April dates when they show up. If there are cities missing off the list you would like to see, feel free to recommend theaters and we will do our best to make them happen. You can either comment here or email dave@gkids.com. As always, we're a small independent company unable to afford big TV ads, so we heartily encourage you to spread the word and invite lots of friends!